Look no further for the perfect creamy, waterproof eyeliner with definition that lasts all day. 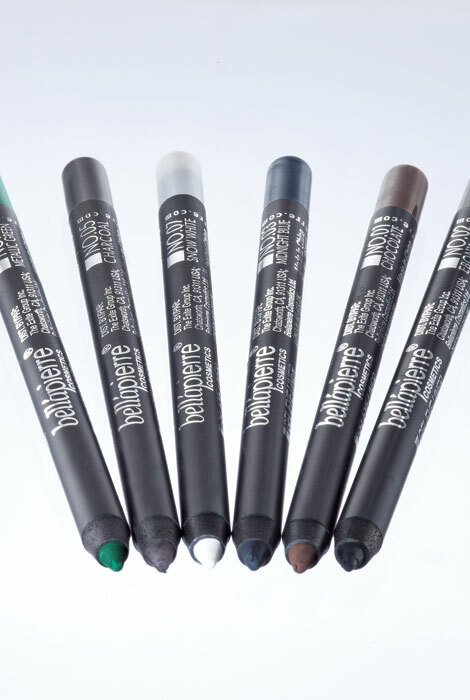 Bellapierre® Waterproof Gel Eye Liners glide on smoothly and effortlessly for beautifully precise results. Eyes appear more defined and awake, helping you look your best. 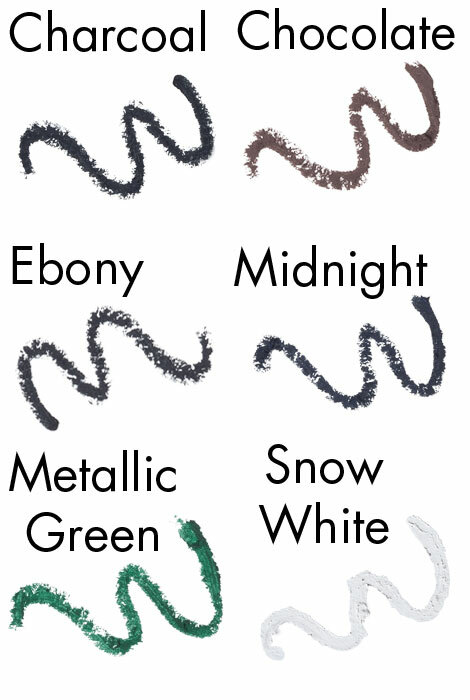 Formulated with pure minerals, natural waxes and antioxidants, these gel liners are hypoallergenic and safe for all skin types. Packed with nourishing ingredients such as shea butter, vitamin C, vitamin E, jojoba seed oil and safflower oil, the hydrating formula is healthy for the delicate skin around the eyes. The easy-to-apply gel tip gives you a perfectly defined line every time, in a variety of colors that let you create a bold or subtle look. Long-lasting waterproof coverage keeps your eyes looking incredible from morning through evening, no matter what the day throws at you. Candelilla Cera, Copernicia Cerifera Cera (Carnauba Wax), Cera Alba (Beeswax), Rhus Succedanea Cera (Japanese Wax), Ricinus Communis (Castor) Seed Oil, Butyrospermum Parkii (Shea Butter), Ascorbyl Palmitate (Vitamin C), Simmondsia Chinesis (Jojoba) Seed Oil, Carthamus Tinctorius (Safflower) Oil, Tocopheryl Acetate (Vitamin E), Pentaerythrityl Tetrastearate, Persea Gratissma [+/- Titanium Dioxide (CI 77891), Ultramarines (CI 77007), Mica (CI 77019), Iron Oxides (CI 77491, CI 77492, CI 77499, CI 77742, CI 77266)]. Holding the skin of your upper lid taut, trace the upper lash line, making the tail end a bit thicker than the inside, and extend it just beyond the lash line. For a more dramatic look, try lining the outside half of your bottom lash line as well. I would never purchase again! This is THE WORST eyeliner I have ever used! It is SO hard to put on because it is a hard texture. Didn't like the color. Pencil was not smooth. I needed a waterproof white eye liner. Wanted a truly waterproof product that came in lovely colors! I needed eyeliner and decided I would try this one. Goes on evenly and is waterproof. I wanted something that would not take a lot of effort to get the bold and defined look. However, I seem to have to work harder with this product than with a regular pencil. It is hard and not smooth flowing as I would have thought 'gel' would be. Therefore, after trying 2 or 3 times (in hopes that it just needed to 'get going'), I went back to using my pencil. I really wanted this to be a 'great' product. I've used this product before and it's wonderful. Love it! to see if I like this. This eyeliner is awesome!!!! Goes on smooth and stays on all day. Got this in my Ipsy bag a few months ago and now can't do my makeup without it. Lasts over 12+ hours nursing shift without needing to be reapplied or smudging. Because I wanted to try it out. Waterproof ....Great for summer weather. Since it says waterproof, which prevents bleeding when I perspire or when something gets in my eyes, I am sure it will not smear. I wanted a liner to use on my lower lashes. Specifically one that glides on. Used this product before and found it to be excellent. I am re-ordering and highly recommend it. I was tired of all the eyeliners smudging or running, so tried this and WOW, it really does work. The liner stays put and has great color. That is why I am back buying more. Would recommend. Absolutely my most favorite eyeliner EVER! Because it's natural and waterproof. I received a free sample, loved it and this is the only website that had it in stock! What color eye liner is best for medium blue eyes? BEST ANSWER: Did you want to emphasize the blue of your eyes? Use the blue eyeliner by all means, but if you do not want the attention on the color of your eyes, then try a color closer to the color of your hair brown or even black. Just not too much because it would be out of place. Use white on the inside of the lid to make your eyes sparkle. I would think blue would bring-out and/or accentuate the blue in your eyes? Is the charcoal color the darkest black? BEST ANSWER: Not really - use kohl for that dark color. I use charcoal and it's definitely black. How do you keep a point! Does it require a sharpener? BEST ANSWER: Thank you for your question. This pencil can be sharpened with any standard makeup pencil sharpener. We hope this information will be of help to you. So far I have not worn them down to require attention.